Did you know that if you have a dog, you have the most convenient, rewarding, and accessible hobby right at your finger-tips? It’s true – having a dog gives you instant access to the coolest VIP events ever. Want to get in shape? Do tracking with your dog. Want to improve your posture? 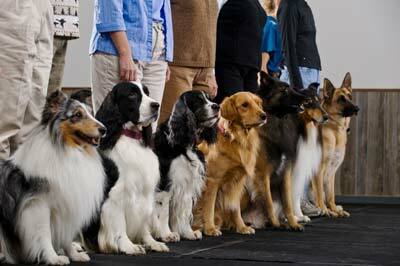 Do obedience with your dog. Want to spend more time outside? Do nosework with your dog. Want to improve your memory? Do Rally with your dog. Of course I could go on but you get the picture. There are over 50 dog sports out there!! Check out https://en.wikipedia.org/wiki/List_of_dog_sports for a fairly comprehensive list. In addition to helping you with your personal goals, you’ll get a ton of extra perks. You’ll make friends with folks that share similar interests. You’ll get to go places you wouldn’t have thought of. You’ll grow and learn and change in ways that will be surprisingly useful…and plain surprising! Developing a sport or training hobby with your dog is a truly unique experience. Think about it. Your dog has evolved to work with you and the space for that relationship is huge. It’s not burdened with baggage the way that person-to-person relationships can be, it’s not hampered by anything. 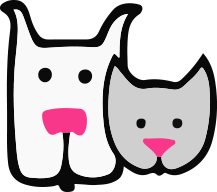 Your dog is always available and ready to go. And just like any great hobby, it requires you to get out of your head and focus on the moment. Stress about work, the drama with your family – all of that stuff goes away when you’re training. When you finish a training session, you realize that an hour just went by that your brain was wonderfully free of all the stuff that goes on in life. I can’t tell you how cool it is to see clients go from having a dog as sort of a peripheral family pet to getting really into a dog sport. I’ve seen lives completely changed, people that have found love and gotten married, deep friendships developed – really remarkable stuff. 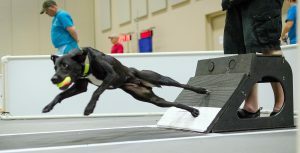 For those of you with a DWI (Dog With Issues), getting into a sport should pretty much be mandatory for you. It’s so unbelievably helpful. It builds confidence, helps develop strong coping skills, and gives you ample opportunity to work on weak spots and deficits. It’ll also give you the chance to feel less frustrated, to realize you’re not alone and provide you with a support network. Spring is here! The weather has been so amazing lately and I can’t help but feel excited about getting out with my dogs and doing our various sports. Tally is herding sheep, Leelah is working on competition obedience and Nomi is competing in Conformation. Recently, I spent the day at a Training Party and I was the designated photographer. Afterwards I went through over 600 pictures, narrowing it down to about 70 that I posted on Facebook. As I scrolled through the pictures, I was amazed at all the love, focus and commitment that I saw between the dogs and their owners. It prompted me to think about how truly cool the dog community is and what a precious opportunity every dog owner has whether they know it or not. So what are you doing today, right now (besides reading this blog)? 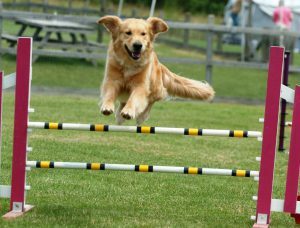 Go to YouTube and check out some dog sport videos and see what catches your eye. 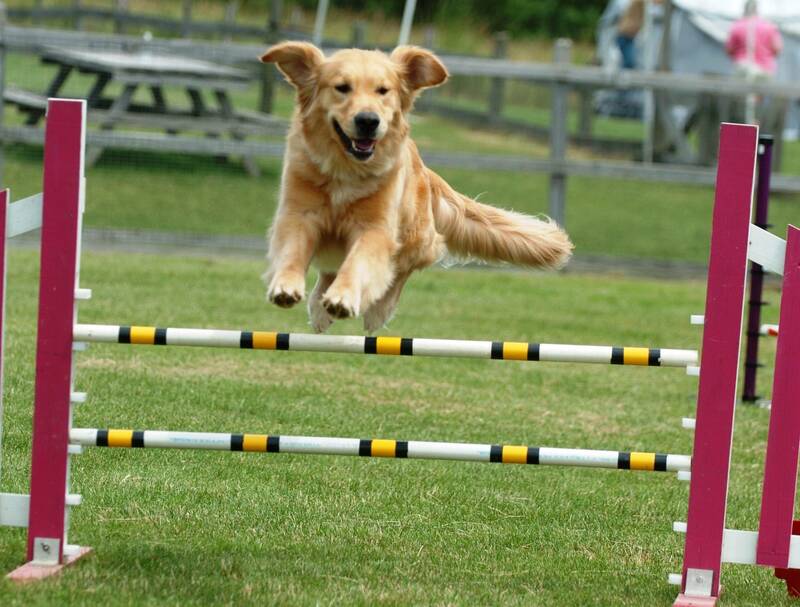 French Ring, herding, lure coursing, flyball, agility, rally – there are SO MANY options! Watch a video, find something you like and then find a local team or club (I can help if you’re stuck). I promise, you won’t regret it!